« Iowa State University Power Plant + Marion Gunderson = ? 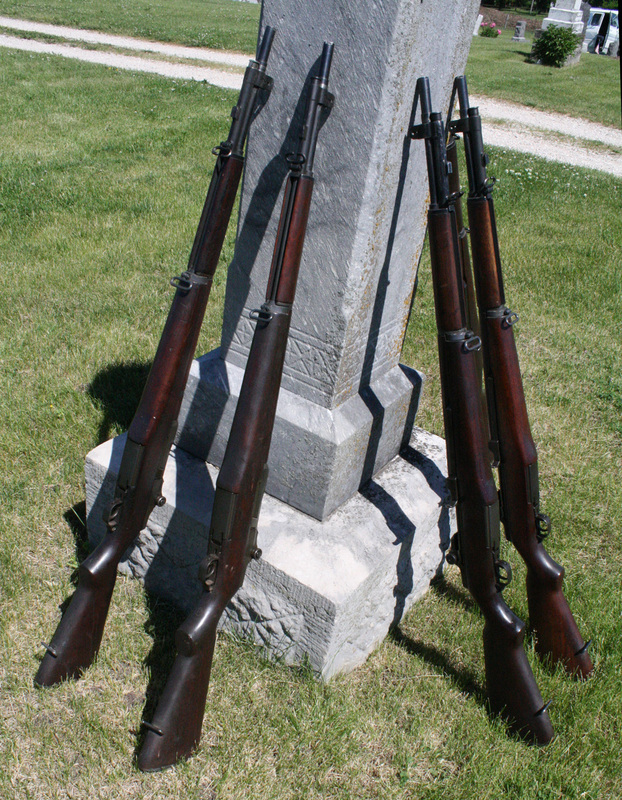 All three photos were taken of Rolfe’s Clinton-Garfield Cemetery. 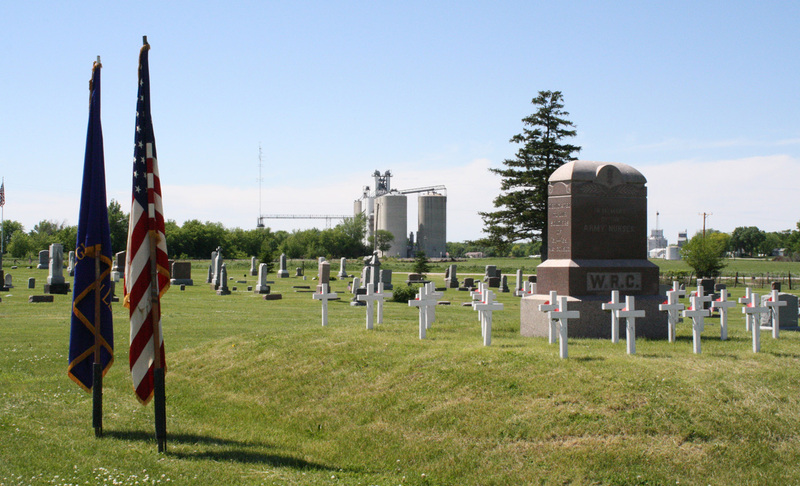 For information about Rolfe’s cemeteries, click here. Tomorrow I’ll begin posting information about Mother’s association with the Iowa State University power plant. This entry was posted on May 31, 2010 at 11:57 pm and is filed under Iowa, Rolfe. You can follow any responses to this entry through the RSS 2.0 feed. You can skip to the end and leave a response. Pinging is currently not allowed. A sacred time. And very meaningful to honor together as a community, however small. Thank you for posting these pictures, Louise. 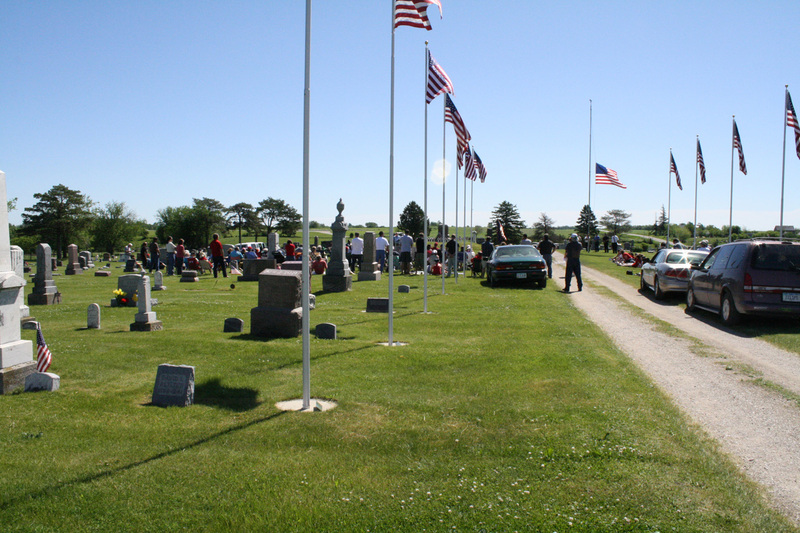 I’ve often come back to Rolfe for Memorial Day weekend and go to the cemetary for the community service on Memorial Day, which is very special. Thanks for the photos, Louise.